What ever the reason might be, we are quite anxious to know. We will keep you posted as and when we get further updates. Leading smartphone company Xiaomi announced today that it will now manufacture its devices locally in India, in a show of commitment to Honourable Prime Minister Shri Narendra Modi’s ‘Make in India’ initiative. 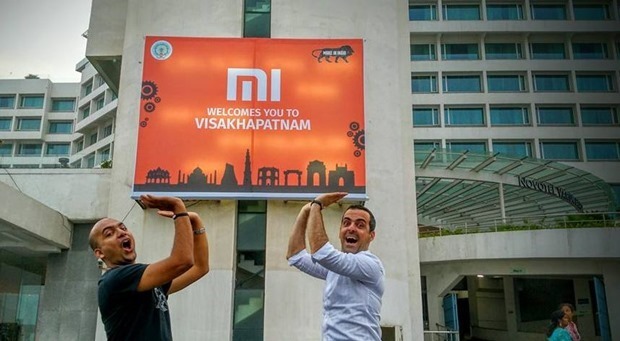 Xiaomi revealed its ‘Make in India’ plans at a special event today in Visakhapatnam, located in the state of Andhra Pradesh, in the presence of Honourable Chief Minister Shri Nara Chandrababu Naidu and Mr. Amitabh Kant, Secretary, Department of Industrial Policy and Promotion (DIPP). ‘Make in India’ was launched by Shri Narendra Modi in September 2014 as a major national programme designed to facilitate investment, foster innovation, enhance skill development, protect intellectual property and build best-in-class manufacturing infrastructure. 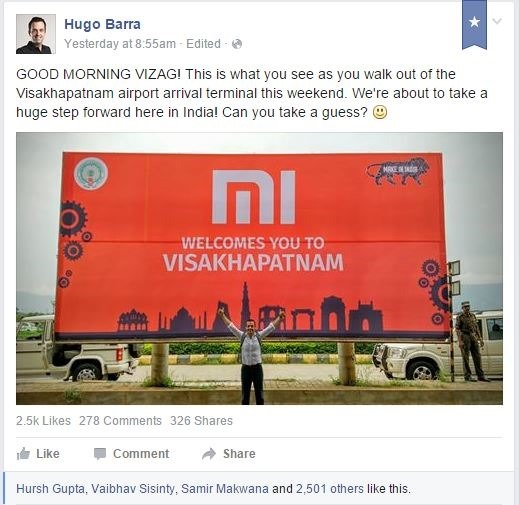 Xiaomi entered India just before then, in July 2014. Its unique and innovative direct-to-consumer business model has been instrumental in disrupting the Indian smartphone industry. By manufacturing its smartphones in India, Xiaomi is extending its long-term commitment to the Indian market. Investments like these set an example for more international players to join the ‘Make in India’ programme and will play a key role in transforming India into a global manufacturing hub. Xiaomi has partnered with Foxconn Technology Group to manufacture its smartphones in India. The factory is based in Sri City, Andhra Pradesh. The choice of location is strategic as Andhra Pradesh is known to have highly skilled technical manpower, an enterprising population and a dynamic emerging leadership – a combination of factors that make the state appealing to high-growth technological companies such as Xiaomi. The first Mi phone to be manufactured in India is Redmi 2 Prime, an enhanced version of Redmi 2 with 2GB RAM and 16GB Flash, which will be available for Rs. 6,999 on Mi.com and other partner sites (Flipkart, Amazon, and Snapdeal) starting August 10. Redmi 2 Prime features a Qualcomm Snapdragon 410 64-bit processor, 4G Dual SIM support, and a 4.7″ HD display. With the memory upgrade, Redmi 2 Prime offers an even smoother user experience and more space for apps and media. Foxconn has already started producing Redmi 2 Prime at their Sri City factory, and 100% of the Redmi 2 Prime units sold in India are made in India. 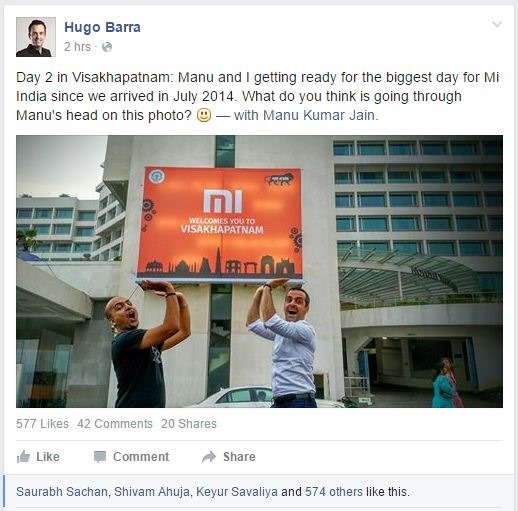 "[Updated] Xiaomi Opens Local Manufacturing Unit in Sri City, AP. Redmi 2 Prime Will First “Made In India” Phone", 5 out of 5 based on 1 ratings.